We talk a lot about budgeting, saving, investing, and all the other things that go into a good financial plan, but we rarely talk about how to actually put it all in place. In other words, how do you set up a system that sends money to the right places and keeps everything organized without you losing your mind or having to quit your job just to keep track of it all? 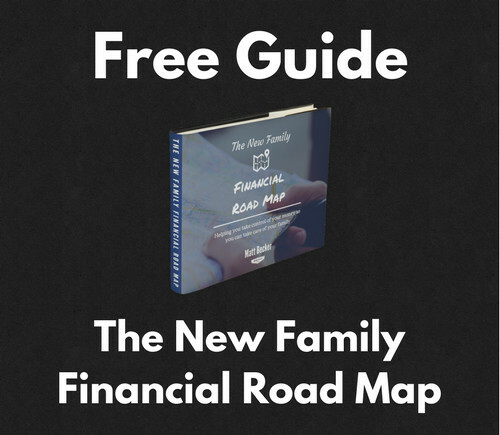 I’m going to share the financial system I use myself and the one I recommend to clients. This is how I set up my bank accounts and move money around to make sure that my savings goals are being met and my bills are being paid, all with as little ongoing work as possible. 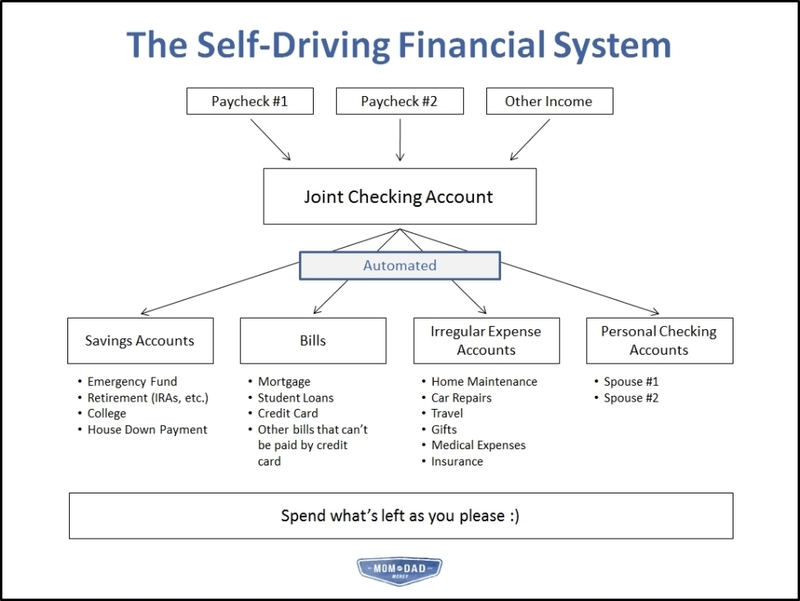 I’m calling this the Self-Driving Financial System because it’s meant to be as hands-off as possible, and because I’ve been nerding out about self-driving cars recently (indulge me!). Effective – It directs money towards the things you care about most. Low-maintenance – For the most part this system runs itself, relieving you of much of the burden of handling your day-to-day finances. Collaborative – It fosters collaboration between you and your spouse or partner, making it easier to work together towards your common goals while also preserving some individual freedom. So, let’s dive into the details and see how it all works! The assumption here is that you’re working with a spouse or partner, but the basic principles hold true for other situations as well. I’ve illustrated this system with multiple checking and savings accounts for multiple purposes, but you could simplify things even further by using categories within You Need a Budget instead. That’s what I actually do myself now. 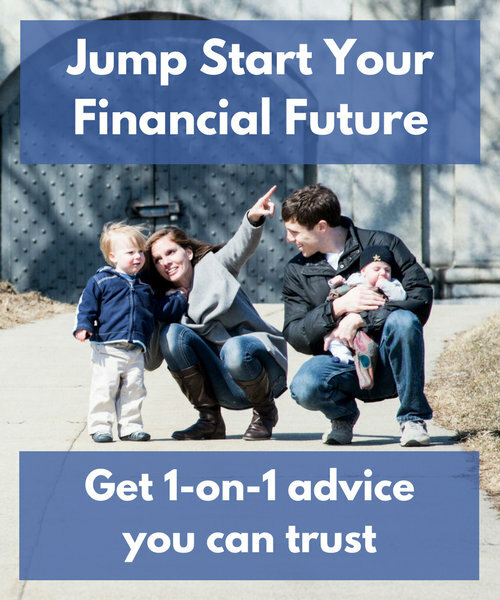 The first step is directing all your income to a single joint checking account. You can think of this checking account as the heart of your financial system. All your money comes into this account first before being pumped out to the other pieces of your financial system. Now, certain things like 401(k) contributions and company health insurance premiums will be taken right out of your paycheck. That money will never touch this account and that’s okay. But otherwise, depositing all of your income into a single account will keep things simple for you. 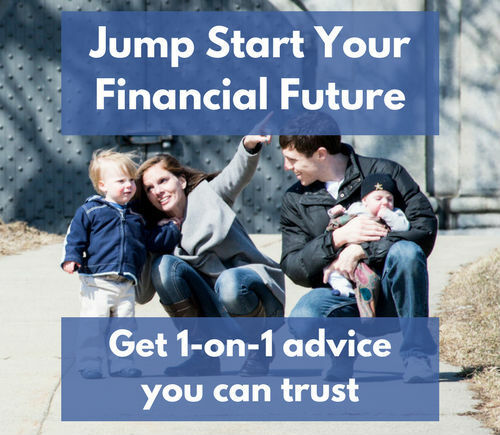 You’ll always know exactly how much money is coming in and when to expect it, and it will be easy to both set up the automated transactions we’ll talk about next and to update them down the line as your goals and needs change. And it’s a joint account because you’re a team and you’re working together towards shared goals. But don’t worry, there’s a step below that gives you each some freedom to spend money on your own. “Pay yourself first.” It’s a motto you’ve probably heard before and it’s a good one to live by. Paying yourself first means putting money towards the things you care about most BEFORE giving it away to other people. And in practice, it means automating your savings towards your biggest goals before paying all your other bills and expenses. Decide how much you want to save for each of your goals and which account(s) you’ll use for each one. Set up automated transactions that move that money from your checking account to your various savings accounts on the same day(s) every single month. Schedule these transactions to happen right after you deposit your paycheck each month, BEFORE your other spending has happened. Doing it this way makes sure that there’s always money to save and that it happens every single month, meaning you’re making consistent progress towards the future you want. Note: If you’re using You Need a Budget, you can direct a lot of these transactions to a single savings account and simply track your progress towards various goals as categories within the app. The less you have to remember, the better. Automating your bills takes one big worry off your plate by ensuring that all of your bills are paid on time every single month. Many bills can be paid automatically by credit card. If you’re like me and like to use credit cards for your spending, you can probably handle most of your bills this way. (If you are using a credit card, make sure to set it up to auto-pay the full balance every month). Other bills can’t be handled with a credit card, or you may simply not want to use a credit card, and in that case you can automate them through your joint checking account’s Bill Pay system. Either way, automating them makes sure that they’re always paid on time and in full without you even having to think about it. You know that feeling when the car starts rattling and you don’t know where the money to fix it is going to come from? It’s no fun, but the good news is that you can prevent it from happening. By saving ahead for irregular expenses you can ensure that the money’s there when you need it. Instead of panicking and scrambling to fit that car repair into your budget, you can simply take the money out of savings. Start with common irregular expenses like car repairs, home maintenance, travel, gifts, medical expenses, and annual insurance premiums. Add any others that come up for you on a regular basis. A good candidate is any expense that’s both large enough to disrupt your budget and happens irregularly enough to not be a consistent part of your monthly spending. Estimate how much you spend on each category in a given year. Divide each of those numbers by 12 to get a monthly amount and set up an automatic transaction that transfers that amount into a savings account each month. When one of these expenses comes up, simply transfer the money from your dedicated savings account to your checking account and you’ve got it covered! Personally, I use Ally Bank and have a separate savings account set up for each irregular expense. It ends up being a lot of different accounts, but they make it easy to manage things. 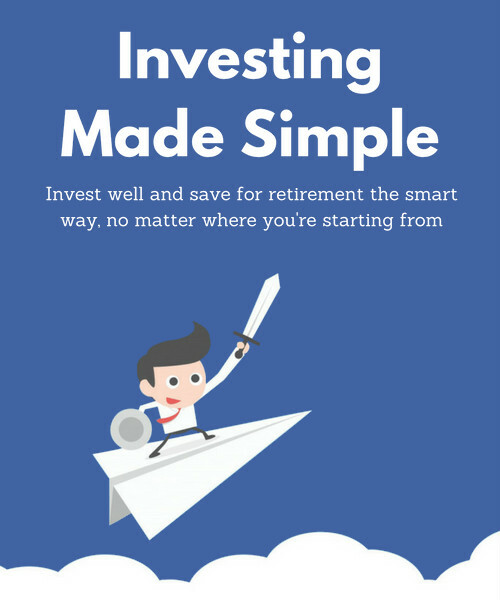 You could also use a single savings account and keep track of how much money is allocated to each irregular expense in a spreadsheet. Or you could use a tool like YNAB that allows you to account for these irregular expenses as categories within the app and remove the need to transfer money back and forth. No matter how you do it, preparing ahead of time for these irregular expenses will make your life a lot easier, and automating that preparation takes yet another worry off your plate. This is where you get to preserve your individual identity within this joint financial system. In addition to your joint checking account, I would encourage you to open separate individual checking accounts and automatically transfer the same amount of money to each every month. That money is then available for you to each spend or save as you please without having to run it by your spouse. I would encourage you not to track how this money is spent as part of your joint budget. This isn’t about keeping secrets from each other (bad idea), but simply about allowing each of you to make personal spending decisions without having to justify them. I’ve talked to a lot of people who’ve credited this exact strategy for relieving a lot of the financial tension in their relationship. There are still plenty of decisions for you to make together, but this makes sure that there’s always some money that’s just yours. With all of the biggest items already handled, the only real decision you have to make each month is how to spend the money that’s left over. And the best part is that since you’ve already saved and paid all your bills, you can spend that money guilt-free! Sure, there will still be some tough decisions like how much to spend on groceries vs. eating out. But there’s no stress about making sure there’s money left over at the end of the month to save or put towards debt. There’s no guilt when you want to indulge a little bit. The money that’s left over is yours to spend as you please. It’s also a nice little budgeting trick, since you know exactly how much money you have available to spend AFTER all your obligations are handled. It makes all the mental accounting a lot easier. This kind of system will take some time to set up and there may be some headaches as you get used to how it all fits together. But once it’s in place, it does almost all of the heavy lifting for you. Bills are paid, savings are made, and potential budget busters are handled ahead of time, all without you having to do a thing. So what do you think? Could you see yourself using a system like this? Is there anything that you’d tweak? Let me know in the comments! I like the automated component. I mostly use my Discover checking account this way, but I use the bill pay feature from there to pay all our credit cards off every month. I would put them on auto-pay from the credit card website, but I get cash back for every bill pay transaction initiated from the Discover site. Depending on the relationship, the personal checking accounts would be helpful and/or necessary. My wife and I don’t use those. On my side, it would be frustrating to have cash sitting there waiting for a whim to strike of something I may want, but then possibly not have quite enough to buy it. A little too boxed in and rigid for me. If there’s anything either of us wants to buy, we discuss it and put it in the general joint budget. We’re able to communicate about it without guilt or balking. It helps that we’re both somewhat minimalist, so neither of us wants big, new or flashy things often. That’s great Carl! I’m glad that works for you guys. For me, I actually think it’s healthy to have some money available on a whim, as long as it’s within the boundaries of what you can afford. It’s kind of nice to be able to indulge from time to time, even if it’s kind of silly, and this lets you do it without throwing everything else off track. We had a system that was automated to this degree for a number of years and I loved it, but I still found it required a lot of hands-on transactions and decisions – like transferring money back from the targeted savings accounts when those irregular expenses came up, and making those groceries vs. restaurant budgeting type decisions. But that’s certainly better than doing manual savings/bill pay! We are a bit less automated now because we largely did away with the targeted savings accounts, but I’d like to return to having those strong delineations within our savings for irregular expenses. Interesting to hear that you went away from the dedicated savings accounts and now would like to go back. Maybe having fewer of them would help make it less hands on? That part of it can definitely be a lot of work if you end up having to transfer money out of them every single month. 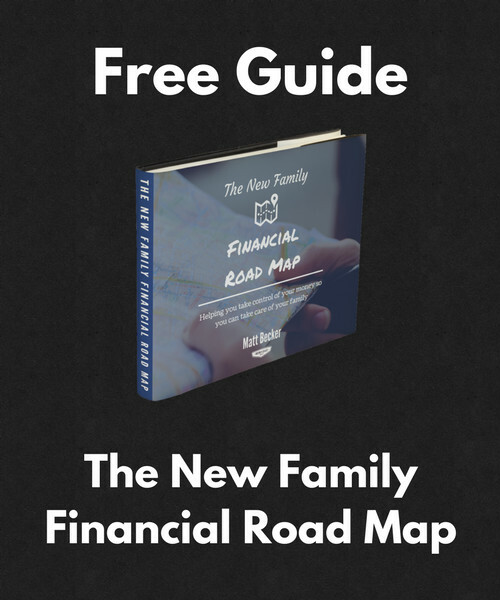 We didn’t dismantle our system because it was too much work – I didn’t mind doing the transfers at all and I think it was a good way to stay intimate with our finances. We had two years of employment, location, and familial transitions that made predicting our irregular expenses nearly impossible. Now that we’ve been in our new city for a year and our baby is a few months old, I think we can get back to robustly predicting our irregular expenses. Gotcha. That makes a lot of sense. Thanks for the clarification and congrats on the baby! I hope you guys are all doing well! This comment by Emily is the one area that stops me from doing this . But I LOVE the idea and your post really breaks it down, so can you explain to me how you DO keep track of what needs to be moved back from savings to checking? Say you go to walmart and buy groceries AND a new large area rug and put it on a credit card. Do you then go home and log the receipt somewhere to show what was considered a home expense so that you know how much to move from that irregular expense back to checking? How do you know how much to move at the end of the montH? Good question Jennifer. And there are a few parts to the answer. First, I save receipts that could be categorized into multiple categories and then once per month I go through them and “split” transactions in mint.com to reflect the different spending on different categories. I find that once-per-month activity a lot simpler than worrying about it each time we go shopping. Second, I try to minimize the amount of things I have to transfer money for. Most “home” expenses, for example, likely wouldn’t warrant a transfer. An especially large purchase might, but most things we buy would not. It would just be part of our expected average monthly spending on “home”/”household supplies”. Third, any transfers I do make are part of that once-per-month process. Once I’ve summarized all our spending for the month, I look at our spending in the categories for which we have dedicated savings (e.g. travel) and transfer money as needed. I LOVE this. Your blog is just great, I could read it all day. Thanks for the advice, I am going to do this tonight! Thanks Jennifer! That means a lot to me. Good luck setting everything up and reach out any time if there’s anything I can do to help. Excellent post Matt! Super easy way to set up your finances. This is almost exactly how our system is set up except I don’t pay my credit card bills automatically. I like to sign up for new cards for bonuses every so often so setting up automatic payment on all of these really wouldn’t be worth it. My little sub system is that I review every statement as I receive it so I can check for any fraud and I just use my banks bill pay feature to make the payment. Takes a little more time but I actually don’t mind looking at statements and it gives a little more piece of mind. Great chart I will be sharing it with my friends and family! I like that. Thanks for sharing Syed! As usual, you did a great job of making a seemingly complex idea about personal finance and breaking it down into super concrete terms and actions. Thank you. One question: What adjustments would you suggest for people who have irregular income, rather than a steady paycheck? Thanks Ryan! And good question. The account setup can pretty much be the same, but here’s the process I would use: How to Automate Your Savings with Variable Income. Excellent article, Matt. We advocate a very similar method to our clients called the “Financial Life Operating System”. Nice! Good to know I’m not alone. Excellent system for budgeting Matt! Agree that automation is key in getting ones finances in order. Best. We use a very similar system in our house! I never spend time “paying the bills” because the whole system is automated. It’s easy, ensures you don’t miss any payments, and still allows for you to accumulate credit card rewards. I would, however, modify the Irregular Expense Accounts to include Car Replacement! Otherwise that can become a major budget buster every few years! Personally, we have only two irregular expense accounts: House maintenance/projects (roof, flooring, septic, appliances, etc) and Car maintenance/replacement (used for anything bigger than an oil change or tank of gas). For the lesser irregular expenses (minor medical, insurance, travel, gifts) we aim to leave a balance of $5000 in our Joint Checking Account. This is used as a sort of minor emergency/expense fund, gives us some buffer for slight changes, and maintains a minimum balance so we aren’t charged a bank fee or ever worried about automated withdrawals depleting our account. We still maintain another Emergency Fund for larger unexpected expenses (major medical, unemployment, other unknowns), roughly equal to 4-6 months of necessary expenses. When our joint checking account is lower than $5000, then we know that we should be more careful and allow it to build up again. When it exceeds $5000, we feel free to spend a little bit more ‘as we please.’ If it’s consistently above $5000, we’ll move some to long-term savings, make an extra house payment, or increase our retirement savings! That’s a good idea about planning ahead for car replacements. Thanks for sharing your system Brian! I love automating my life. After I read the book I Will Teach You To Be Rich I became a huge believer in automating everything that I could. This has taken out all the stress and allowed me to focus in on things that I actually care about. Thanks for the fun recap with the visual aides!!! Great system Matt! My wife and I are very close to the crossover point in which our passive income from after tax accounts cover 70% of our monthly bills. I’ve now set up our financial system so that my paychecks (minus 401k, deferred comp, company stock plan) go directly into my main investment account, which accumulates additional dividend and interest, and once a month, our monthly budget amount is transferred from that account to our normal checking account. Over time, the thinking is that our passive income will cover the budget amount. This has the odd effect of disconnecting “work” from “pay” and never knowing whether or not it’s a pay week. Wow, that’s awesome! You guys have really put yourselves in a good position, and I love that last point about separating work from pay. That’s really interesting. Though it takes a bit of time to set up, I think systems like this pay huge dividends–both financial and in terms of time–in the long run. I’m not quite as automated as you, but I’m working on it. Thanks! We set up separate checking accounts for our “fun” money about 10 years ago and it has solved about 90% of our conflicts over money. Mr. Mt is generally flat broke and mine is stuffed to the brim. But it works for us. =) As long as a purchase is being make with fun money, we don’t worry about it. There is no negative impact to that months numbers. I’ve heard the exact same thing from a lot of people. It’s a really effective strategy. 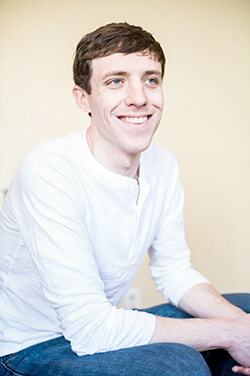 Automating my finances was one of the most liberating move I ever made. It takes out the stress of everyday transactions and takes out the emotional stress of investing. I really enjoyed reading this article. Well explained and sounds well thought out! 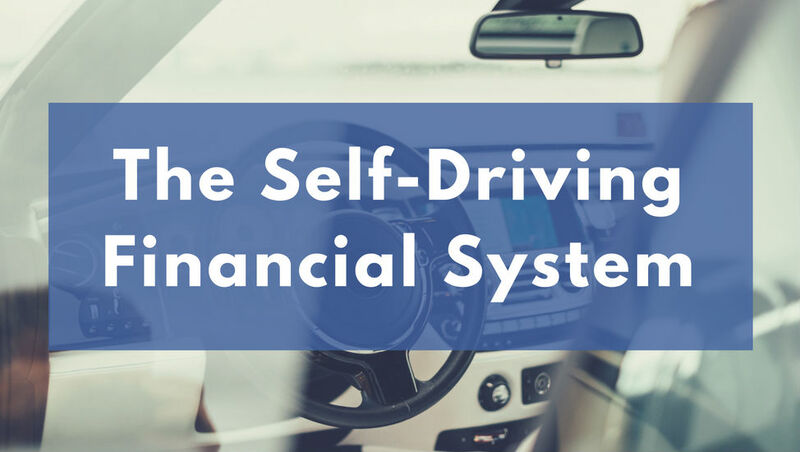 This “self driving” system certainly sounds like it can have a positive impact on your budgeting and reduce a lot of stress! I have trouble with that too actually. It can feel indulgent/wasteful, but it’s so helpful to give yourself permission to enjoy yourself a little too. It can’t all be about living without! I wanted to thank you for this blogpost. It has been the timely one that enabled an evening discussion with my wife, which has changed the way we will budget our savings from now on. “Pay yourself first” is a motto I heard a lot but didn’t manage to apply properly so far. I will share this financial transformation in a next blogpost, and let you know once it’s live so you get to know the details of our story. Wow, that’s so cool to hear! I’m glad it helped and I really appreciate you sharing that story. I can’t wait to read more about it! Matt, my wife and I are trying this for 2017. Previously, we split everything down the middle with transfers between individual checking accounts, but we did have a joint savings account since we first were married. However, when one spouse makes more, and the other spouse carries the health insurance, there is inequality if joint bills are split 50/50. I think your system has many advantages with visibility, and a “common stake.” I am hoping that it works out for us. We intend on checking in with each other periodically, and adjusting the individual allowance amount up or down as necessary. In other words, if expenses/ spending goes up legitimately, the allowance amount goes down. Conversely, if we have raises/ promotions, preschool expenses lessen, we can scale it up a bit. I intend on saving as much of my “allowance” as possible. I also have peace of mind that my spending within the parameters of my individual checking account will not effect family needs or goals. What a great idea you have here. Thanks for sharing it! Sounds like a good plan Ryan! Especially the part about checking in on a regular basis to see what adjustments you want to make. I hope it works for you!